Cockles are something I like to buy when I see them at my fishmonger - not always available but fairly common place (they are small salt-water clams). They do need a lot of rinsing as they live in the sand and the best way to do this is in the sink pushing them around like the tide would; they say that they should change their water 4 times before cooking them, you can see the water change from clear to sandy. 1.Clean the cockles in plenty of water; I move them about in the water and leave them 5 minutes - repeat this 4 times. Discard any that are opened. 2. 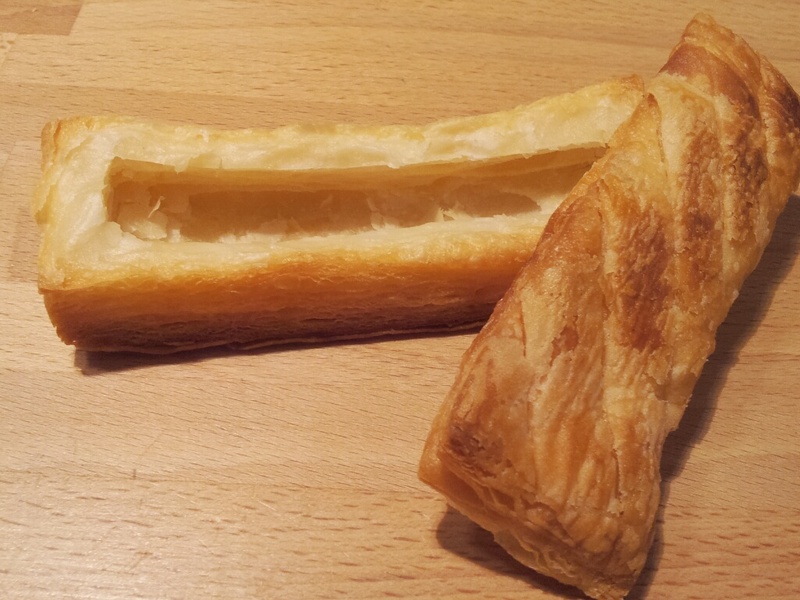 Roll out your puff pastry to 24cm long x 12cm wide x 1 deep (12 x 6 inches x half inch deep); cut this into four and lightly score the tops as in the photo below. Bake off for 20 minutes at 200°c/390°f. Cool completely, then slice off the lid and cut out the middle like the photo below, using a sharp knife. 3. Cook the cockles in a few tablespoons of water until they open (use a pan with a lid). Take out the cockles from their shells - keep the cooking liquid to one side. 4. Reduce the cream for 5 minutes, add in the chopped herbs and some of the cooking liquid - leave off the last bit as there may be sand in it. Reduce this further until you are pleased with the consistency. 5. 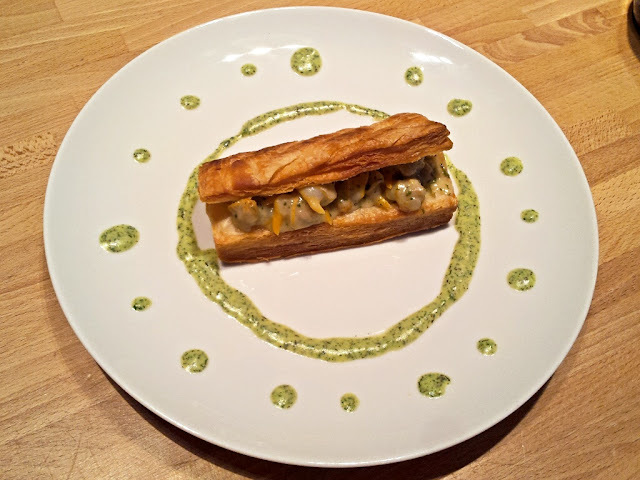 When ready to serve, put the cockles in the sauce and reheat the pastry in the oven. 6. Fill the cases and dress plate as desired. It looks like a perfect little treasure chest with jewels scattered around the edge! I'm sure it tasted as good as it looked. Thank you (little treasure chest should have been the title! ), yes it did taste good and worth the effort of picking over the cockles!